A city-state situated on China’s south coast and enclosed by the Pearl River Delta and the South China Sea, is known for its expansive skyline and deep natural harbour. There’s enough going on in Hong Kong to keep any tourist busy for at least a week but most visitors stay only a few days. So if your time is limited, make the most of it by taking in these must-see sights. The biggest surprise about Victoria Peak is that there’s a lot of green up there. The city’s most famous attraction is, in fact, a large park with walking trails winding through at times quite dense bush. The views, of course, are breathtaking. 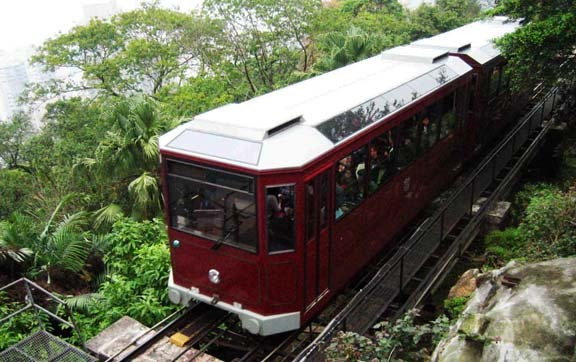 If you decide to stay sky side for dinner, try The Peak Lookout restaurant, housed in a colonial-era building that was once the resting place for sedan chair carriers in the days before the funicular railway was built. 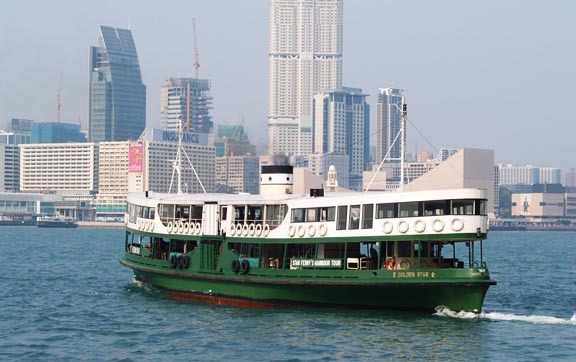 Fares start at $HK2 (26c) and the journey takes no more than a few minutes but the Star Ferry remains one of the world’s great boat rides. The junks that once crowded the harbour are long gone but there’s still plenty to see on this working harbour. The ferries, open vessels with wood-paneled interiors, are surprisingly attractive for such serious workhorses. At night, with the lights of the city dancing on the water and The Peak looming darkly above the clouds, the experience can be magical. This quintessential taste of China is tucked into a lane at Yuen Po St in Mong Kok. 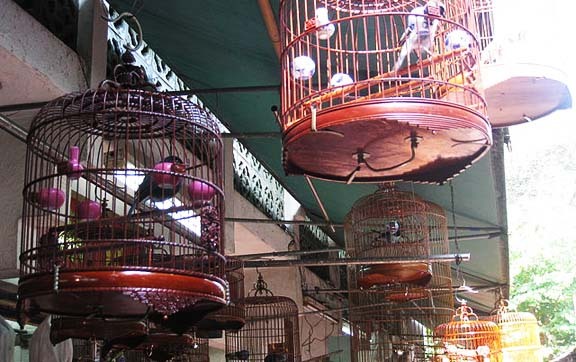 Elaborate bamboo cages hang from the roof and the walls are lined with stalls selling all kinds of winged creatures. Stroll on the short walk to the Flower Market, where you’ll find exotic floral displays in unlikely colours as well as the many plants locals use during cultural festivals. 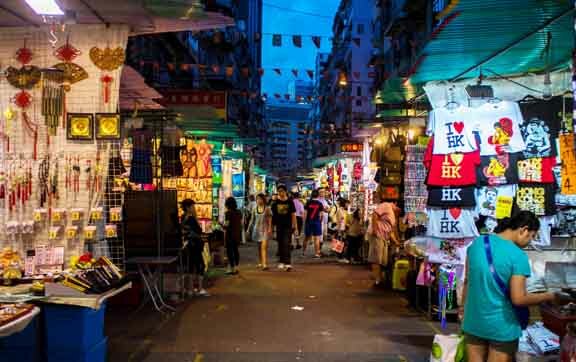 From there, wander along to the Goldfish Market on Tung Choi St.
It’s jam-packed with tourists that and you need nerves of steel to get a bargain but the night market at Temple St in Yau Ma Tei is still a must. Head there after dinner and while away a couple of hours browsing the stalls. Stop for some late-night, energy-renewing sustenance at the food stalls near Public Square St. 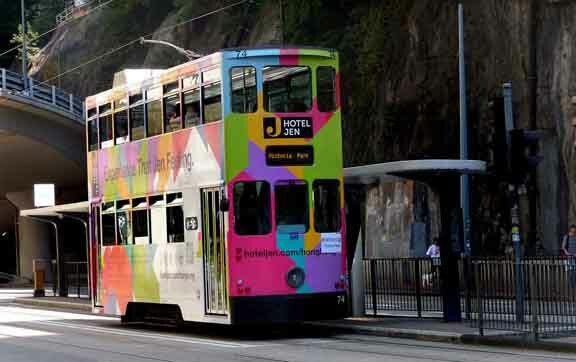 The little double-decker trams that run the length of Hong Kong Island from Sai Wan to Sai Wan Ho offer one of the best and cheapest sightseeing tours anywhere in the world. Find a seat at the top and watch the bustling city go by. The Landmark Mandarin Oriental is one of the best luxury city hotels in the world, with some of the largest rooms in Hong Kong. One of the finest & most iconic hotels in the world, the Peninsula Hong Kong is home to luxurious accommodations & 5-star service. Located on the Victoria Harbour, the Mandarin Oriental Hong Kong offers the finest in 21st century luxury for travellers. Located on Victoria Harbour, this 5-star hotel offers some of the most spectacular & spacious accommodations in all of Asia. The Ritz-Carlton, Hong Kong makes a magnificent return to the city with the world's tallest hotel.